Notify key staff with alarms and create fault escalations. Make intelligent preventive maintenance and error proofing a reality. Industreweb 4.0 is a manufacturing platform to join, rather than replace, existing technologies, with an emphasis on flexibility and scalability, Industreweb is the "glue" between systems. Industreweb connects to all your sources of data providing real-time monitoring and decision making via its high-speed logic engine. It supports a wide range of interface standards such as OPC, ASi, ZigBee, Z-Wave, along with native support for most common PLC’s - Siemens S7, Rockwell / AB, Omron and Schneider. Monitor data, create alerts and trigger actions in other systems. This can include setting a flag in a PLC, displaying an alert on a screen, send an SMS or email or writing a value to a database. It’s your toolkit to capture data, solve problems and improve production efficiency. However, this is only the tip of the iceberg - Start your journey towards Industry 4.0 with Industreweb 4.0. Come and see Industreweb at Smart Industry Expo 2018, NEC, Birmingham Stand S10. Q: How do you make manufacturing competitive AND #STEM engaging to students? 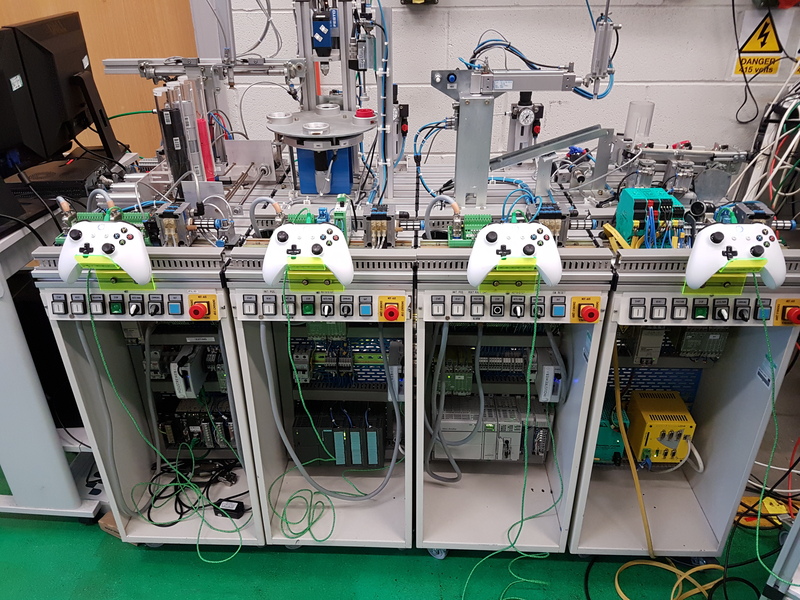 A: You use #Industreweb to control a manufacturing process by XBox controllers!